Like a late-night fog, depression can roll into your life without warning, enveloping your mind with anxiety and uncertainty. Clinical depression surpasses momentary feelings of unhappiness and can permeate every aspect of a person’s life – affecting physical, emotional and social abilities – in episodes that can last for days and weeks at a time. Though this disorder looks different for every individual affected by it, those experiencing depression may feel perpetually sad, disinterested, restless, unfocused, lethargic or worthless. Symptoms can also include sudden bursts of anger, lack of pleasure, anxiety, guilty conscience, drastic changes in eating or sleeping patterns, memory loss and even bodily pain. This common but serious mental disease can contribute to obesity, social withdrawal, relationship problems, panic disorders, substance abuse or even thoughts of self-mutilation and suicide. Specific types of depression can result in manic personality traits, severe melancholy or impairment of motor activity. More women than men are diagnosed with depression, and although depression may begin affecting people as early as their teens, it can become a problem at any point during a person’s life. Like other mental disorders, a stigma toward depression pervades society. Even today, some people are uncomfortable talking about their symptoms and may feel like it is their fault – that all they need to do is try to be happier or more grateful. It’s important to understand that there is no shame in admitting depression. Depression is a disease of the mind. You treat other organs that may not be functioning properly. Your brain is also an organ, and one that needs as much attention as the rest of your body. Without treatment, depression can grow progressively worse, so it is vital to speak with a physician early on. Researchers have yet to pinpoint the precise cause of depression; however, there seems to be a strong correlation with the disorder and chemical imbalances or physical changes to the brain. Neurotransmitters that send messages between the brain’s neurons affect human moods and observations, and if out of balance, these neurotransmitters – especially serotonin, adrenaline and dopamine – may be responsible for certain depressive symptoms. Traumatic events of stress, abuse or even changes in hormonal levels, like pregnancy or menopause, can also lead to major depressive disorder. A person is at higher risk of dealing with depression if his or her family has a genetic history of the disease, if the person had symptoms at a younger age or if he or she is characteristically pessimistic. People taking certain medications or coping with other health problems and mental disorders are also at increased risk of developing clinical depression. One misconception is that depression only affects already moody or isolated people. However, the disease can be deceiving, and people who are social and effervescent in public may still experience symptoms privately. Sometimes, depression may only be seasonal. As summer fades to fall, and long winter nights approach, some people may encounter episodes of depression known as seasonal affective disorder. Research has shown that exposure to either natural or artificial light therapy may lessen these symptoms. Aging can play a part in depression as well. According to the Centers for Disease Control and Prevention, 80 percent of elderly people battle at least one chronic disease. 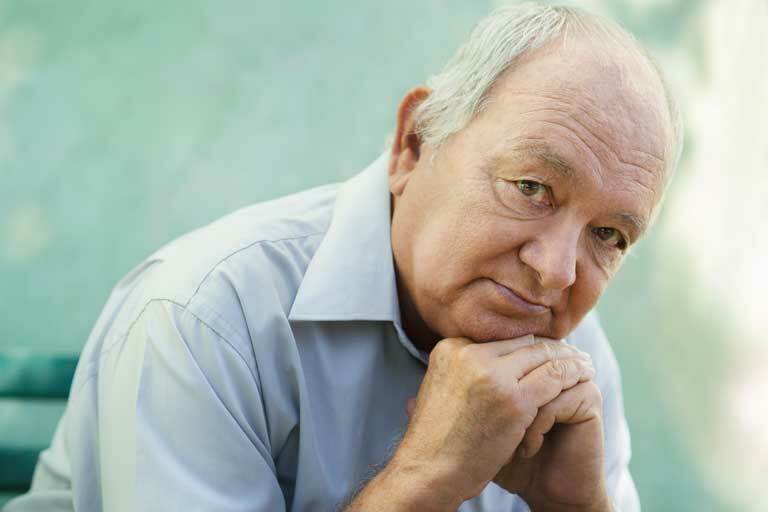 This reality puts older adults at significant risk of also developing depressive symptoms. It is crucial to understand, however, that depression is not a normal side effect of aging and that it needs to be addressed medically. As older people face major life changes like decreased independence, medical conditions or the death of friends, their depressive symptoms can be disregarded as normal reactions to transition and left untreated. However, the physical effects of depression are too serious to ignore as the disease can impede treatment plans for combating other illnesses. If you are experiencing symptoms, do not wait to seek help. It is very important to speak with a doctor as soon as possible so that you can begin treatment. If you are diagnosed with depression, your physician may decide that antidepressants, psychotherapy or both are necessary to help you recover. Additionally, “Psychology Today” suggests other strategies that may improve patients’ well-being, including volunteering, being exposed to sunlight, spending time in nature and practicing problem-solving skills. According to the American Psychological Association, while it is important to seek out social interaction during episodes of depression, people dealing with this disease must be careful to avoid a practice called co-rumination. Co-ruminating means to dwell on problems together with other people for extended periods of time, like complaining or gossiping. This behavior can be dangerous for someone struggling with depression, as it could perpetuate anxiety and depressive symptoms. Spending time with supportive friends may help you feel better, but do not neglect to speak with a physician if you feel depressed. Any combination of medicine, psychotherapy, natural stress-relievers or healthy social support may be needed to help you or a loved one cope with clinical depression, and a doctor will be able to direct you to the appropriate treatment plan. Various health clinics and support groups are offered throughout the country for those struggling with depression. It’s important to let a loved one, as well as your physician, know of any signs of depression you may be experiencing. For more information on depression symptoms, causes and complications, visit The Mayo Clinic online. If symptoms persist, contact a professional right away. You do not have to live in the fog of depression forever. With the right help, you can experience emotional freedom and clarity once again.